Welcome to TCSO Kids ... a web site created just for you. 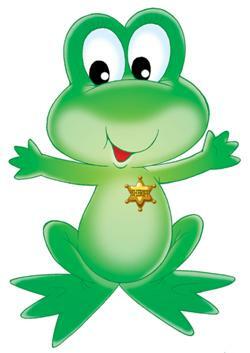 I'm Deputy Ribbit and together we'll learn all about the Taliaferro County Sheriff's Office and things we can do to stay stay while you're having fun. Me and my friends will help you understand how to call for help, what to do in case of a fire, how to surf the internet safely, what to do when you get lost and how to stand up to bullies. We will also show you all kinds of interesting places on the internet (such as my friend McGruff's website) where you can learn all kinds of cool things. Are you ready to explore with me and have some fun? Good! Pin on your badge and let's get started. Follow the links on the right to learn more.